Please provide a full copy of the final results from the show with every contest that includes competitor names, numbers and placings. Overall winners must be indicated or the contest will not be published until that information is provided.Preferably in Excel or Word in addition to a PDF format from the Excel or Word file to potentially post online and must be submitted with the photos and/or videos. Scores should never be hand written and submitted. All photos and videos from a NPC contest or IFBB Pro League Pro Qualifier must be received no later than the Tuesday after the contest to be published that week. If it is not received by then, there is no time table when it will be published. We will do our best to get contests up on the website as quickly as possible. Also all photos must be sent at the same time. As an example, do not send individual photos one day and comparisons and/or overall photos on a different day. To Be Clear, we expect to receive A MINIMUM OF 5 PHOTO’S of EVERY Competitor’s Individual Stage Posing either from Prejudging or Finals. Stage photos of the individual posing rounds should be shot vertically and sized to be 900p tall and 600p wide, at 72 ppi. If an athlete is doing a wide pose that requires a wide shot, that is fine to shoot that pose horizontally. Shoot as many individual photos as possible of every competitor during their individual presentation either from Prejudging or Finals and submit ALL of them. Don’t limit the number of photos you take. Be sure that all competitors’ numbers can clearly be seen in the front photos. Note we don’t correct for color and exposure, the photos go up as is. So please be sure the photos aren’t too dark. Overall comparisons and most trophy presentations in each class or overall awards presentations photos should be in horizontal mode and they need to be cropped to the appropriate size of 600p tall and 900p wide at 72 ppi. Please break pictures into folders, sorted by division, e.g. Bikini, Figure, Classic Physique. They do not need to be broken down by class, but it is O.K. if you do. Please do not break folders down by competitor. Stage photos provided should all be from the individual posing rounds, overall posedowns/comparisons and class and overall award presentations. Please do not include individual pictures taken from the comparison rounds. The competitors should not have somebody else’s knees and elbows in their pictures Feel free to take whatever photos of the competitors you want, but please do not submit these images. If the competitors are in multiple classes in the same division (novice, open, masters, etc. ), we only need one set of stage photos per person. If they are in multiple divisions (bodybuilding, classic physique, etc. ), we still need pictures from each division. Please keep the individual routines for each class together. Most shows will only have competitors do individual posing routines once per division. We do not need copies of those same photos for any additional classes. If you are putting your own watermark on the image, it should be in the bottom right hand corner, as the NPC News Online logo will be on the bottom left, and will reach about half into the 900×600 image. If you are not putting your own watermark on, please let us know how to credit you. We will accept interview, expo and backstage video. Any video that includes profanity will not be put up on the site. All videos files sent to us will go through the NPCNEWSONLINE You Tube channel. 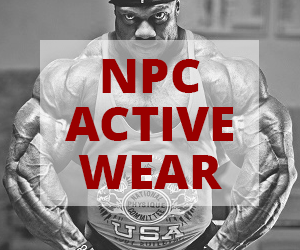 Promoters and/or photographers/videographers of NPC contests, please contact NPC News Online Editor-In-Chief Frank Sepe, webmaster Adam Jensen and J.M. Manion at adamjensen@mac.com, npcnewsonline@gmail.com and jmmanion@npcnewsonline.com the week of your competition so that we know to expect your content for the website. Photographers, if you have questions, please feel free to contact J.M. Manion at (412) 260-8863. We would like to get the IFBB Pro Prejudging individual and comparison photos uploaded right after you’ve completed all the Prejudging. 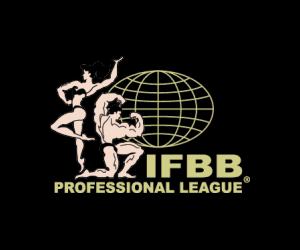 We would like to get the IFBB Pro Finals photos once the competition is completed that night. If it is a multi-day contest, send uploads each day and night, Do Not wait until the entire contest is finished. You should also have your laptop with you and the promoter should either provide you with that venue’s Internet connection or use your own device like a Mi-Fi or Jetpack. Please name the folder with the year and full name of the show. e.g. 2018 IFBB Tampa Pro. Due to the time constraints that we need the photos, you do not have to resize them. Please send them as you shoot them and Adam Jensen will resize them on our end. We will also need a current competitors list sent as well. Please ask the IFBB Professional League head judge for these and you can take a photo of each list and upload that too. Shoot as many individual and comparison photos as possible of every competitor during their individual presentation either from Prejudging or Finals. Don’t limit the number of photos you take. Be sure that all competitors’ numbers can clearly be seen in the front photos. From the Finals we are looking for the confirmation of scoring round, awards photos of the top 5 together and if they also have a sponsor and/or promoter giving them out and then some photos of the Overall winner by their self. Note we don’t correct for color and exposure, the photos go up as is. So please be sure the photos aren’t too dark. Due to the immediacy of receiving the photos, you will not be able to affix your own watermark. If you have a watermark, please send it over via Dropbox or please let us know how to credit you on the photos.